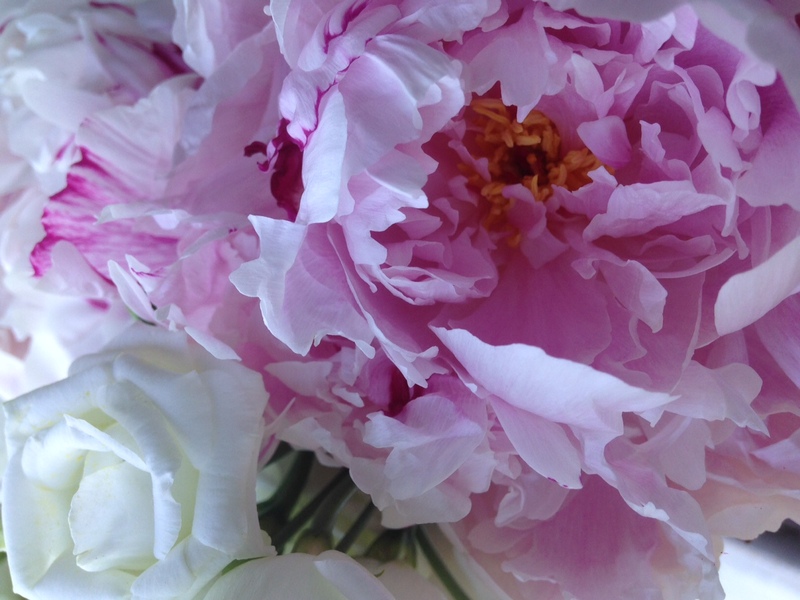 June 2015 – Gina Diamond's Flower Co.
June 23, 2015, posted by Gina -The dog days of summer have made it to my neck of the woods. 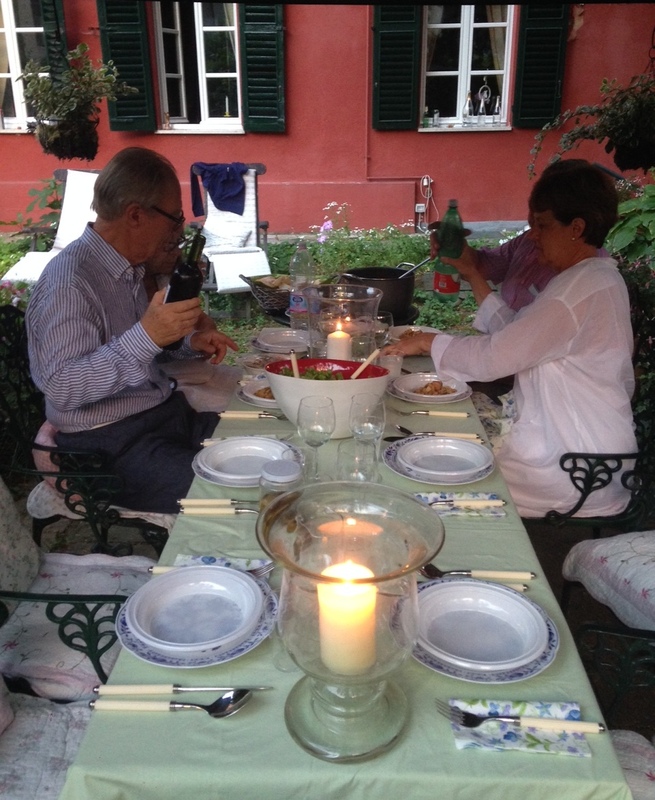 For me, it is so hard to think of a menu for dinner when it is so hot outside. And by hot I mean 90 something degrees with 90% humidity. A rich roast makes me think of fall and winter. Soup in my mind is out of the question. My family has eaten its fair share of chicken lately. What’s a girl to do? I postponed my shopping until the very last minute which put me at the grocery store at 5:00. When I walked in there were only two carts out of about a million remaining in the cart bin. Why was I there? 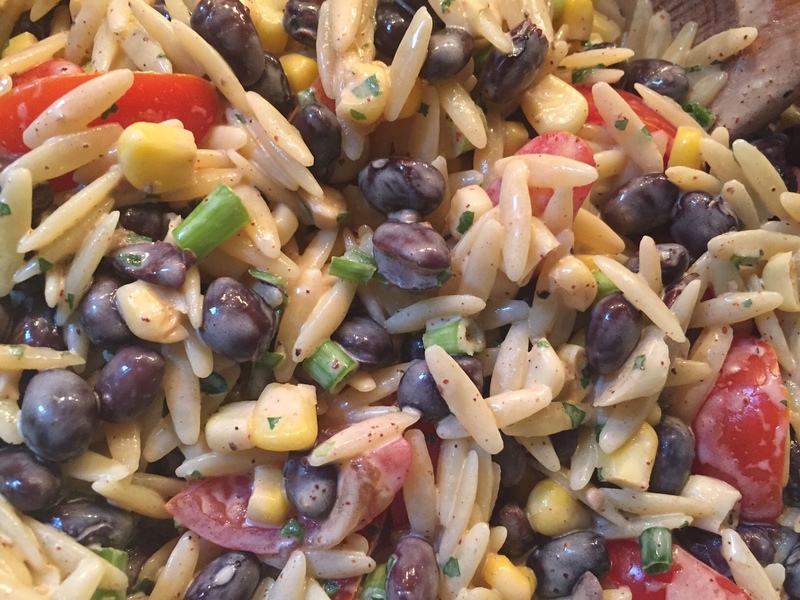 I had seen a recipe for an orzo salad that looked refreshing and light. Of course, I make changes to most recipes and this one was no different. The original recipe calls for cilantro but I despise cilantro and when I say despise I mean I really hate it. To me it is one of those things that has just been done too much. I realize some of you may love cilantro and if you do, feel free to throw a lot of it in this recipe. I served this salad with a peppercorn pork tenderloin and it was the perfect compliment. I hope you enjoy this as much as we did. Whisk all dressing ingredients and pour over salad ingredients. Mix well. Enjoy! 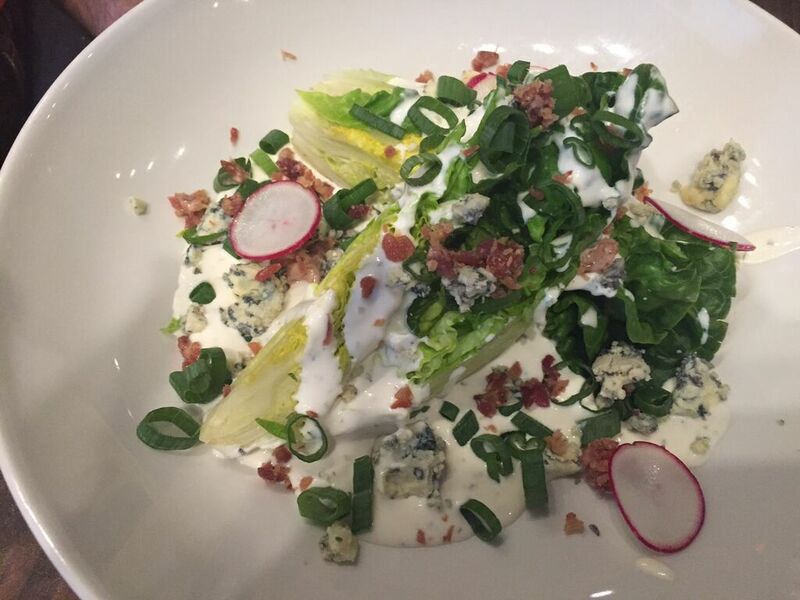 Do you have any go-to recipes for summer? 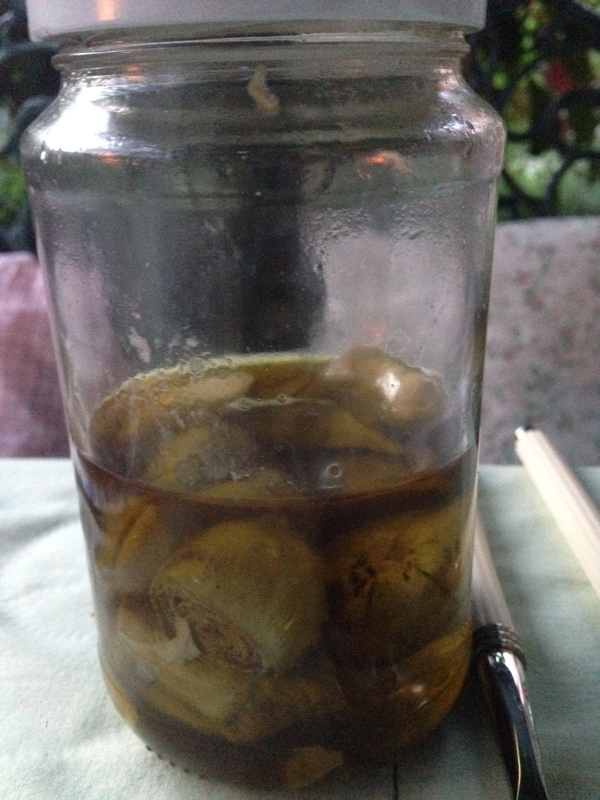 Do you think you’d like to try this recipe? We’d like to hear from you, so click on the title of this post to expand the comment form and leave us your comments. 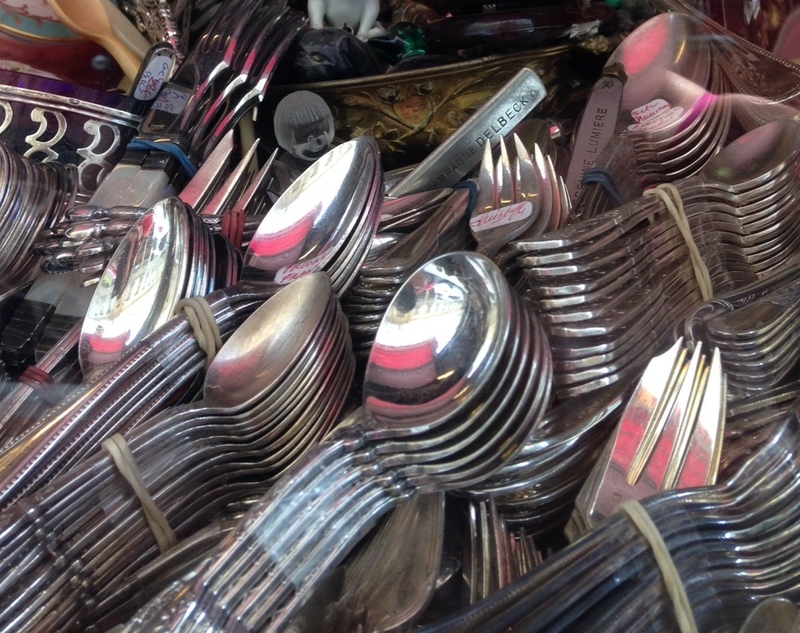 June 22, 2015, posted by Michelle – On a recent excursion around some of the antique shops and brocantes (second hand shops) in the 2nd arrondissement of Lyon I spotted heaps of silverware, some vintage monogrammed linens in blues and greens, a pinkish-purple side table, a never ending jumble of trinkets and a gorgeous French commode table. 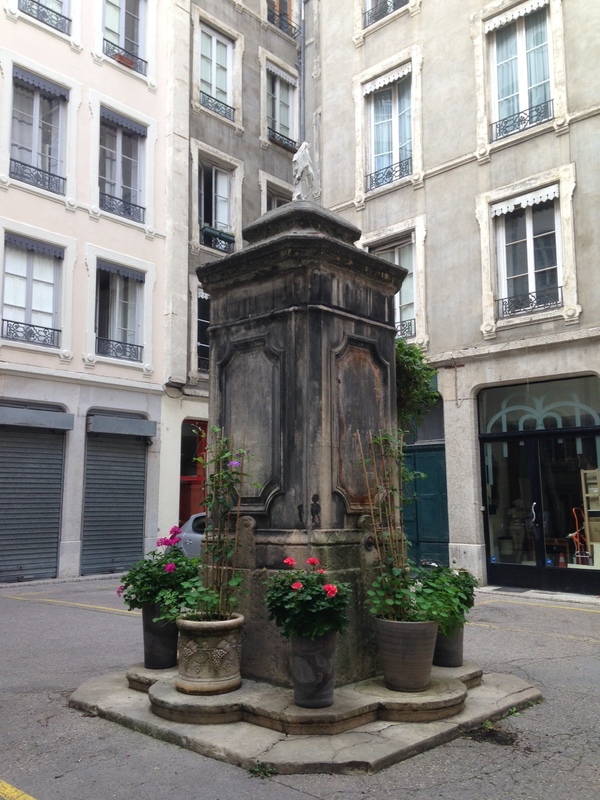 In an effort to take a short cut from one street to another I stumbled into a courtyard where I found a beautiful old disused fountain? pedestal? surrounded by plants and climbing vines. The small statue on top is Mary, who is found in niches on buildings all over downtown. 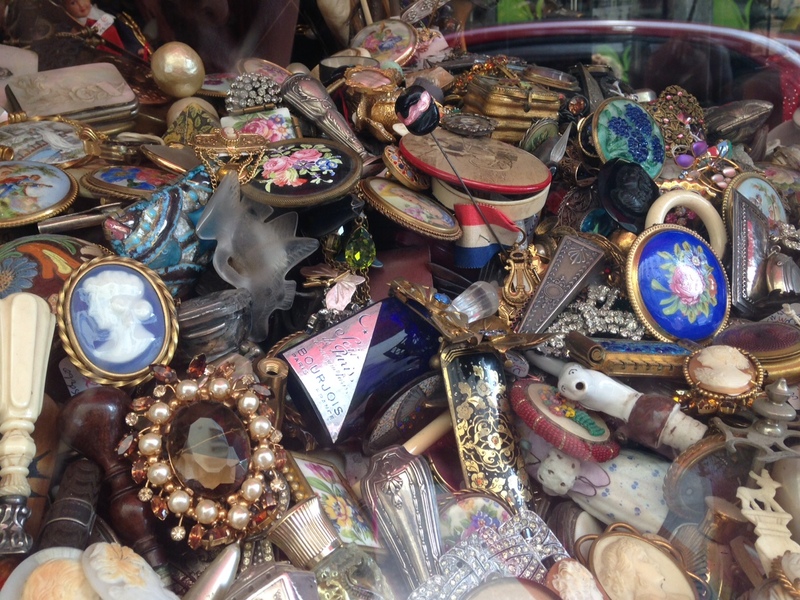 I never know what interesting things I’ll find but I’m always inspired by the beauty of this neighborhood and all its antique shops. 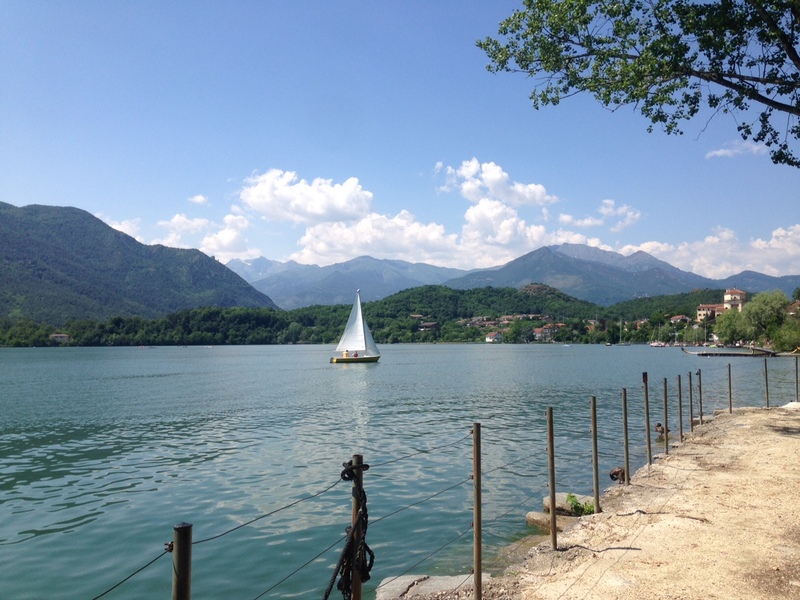 June 9, 2015, posted by Michelle – On our drive back through the Piedmont region of Northern Italy we stopped for lunch before we crossed the border back into France. 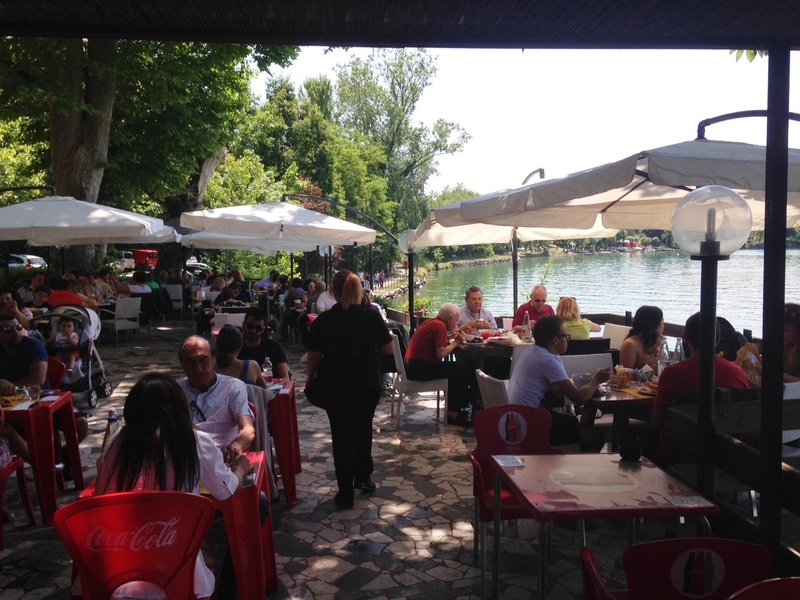 There’s a town called Avigliana where we’ve stopped before to eat at a cozy restaurant on one of the two lakes there. They mainly serve traditional dishes of the region. 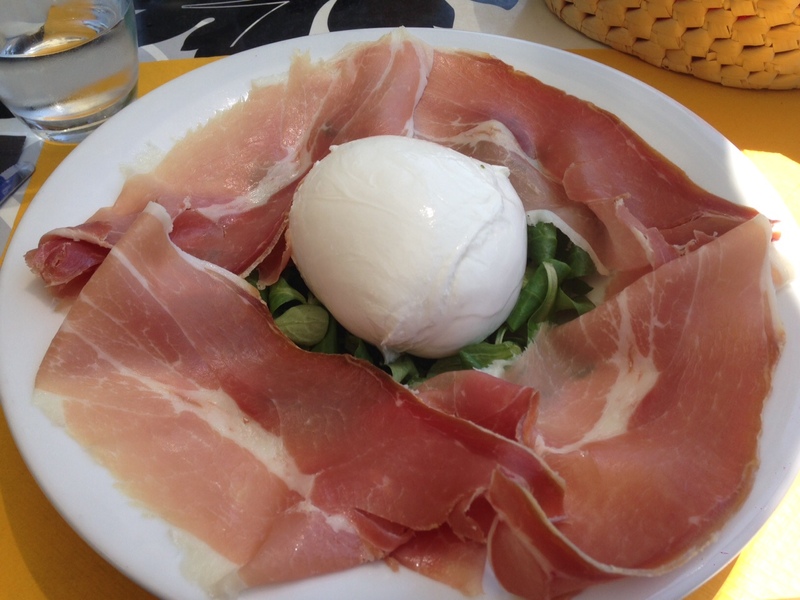 I started with proscuitto and mozzarella which was delicious but I couldn’t finish it. Too bad Le Monsieur doesn’t like cheese or we could have shared this. 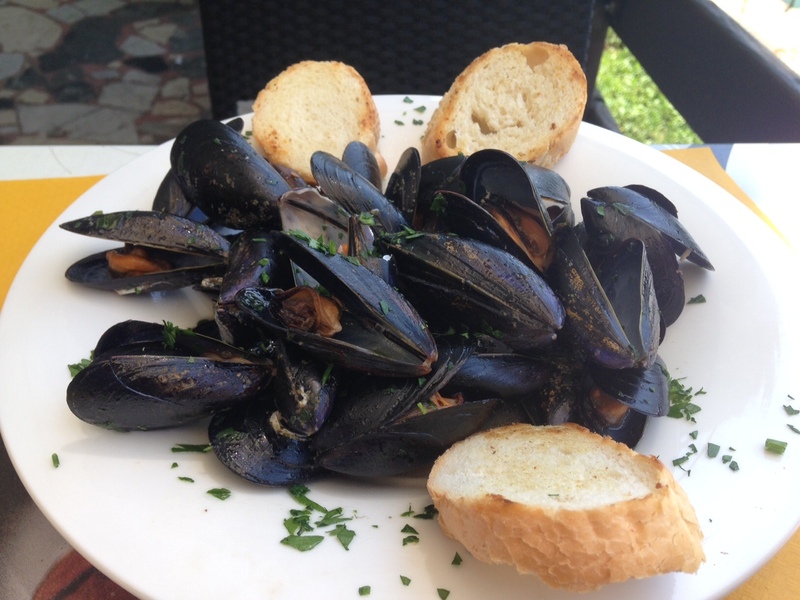 Le Monsieur ordered mussels in a rich garlic-butter sauce and there was plenty of crusty bread to soak up all the delicious juices. We should have stopped there it was so filling but it’s just wrong to be in Italy and not eat fresh pasta. 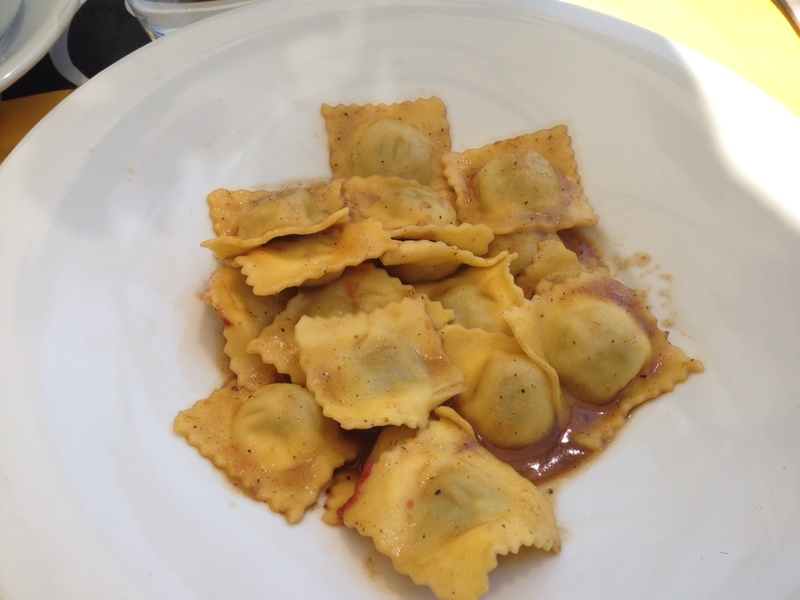 I ordered the agnolotti which are like ravioli but smaller and can be square or crescent shaped. They were stuffed with beef flavored with nutmeg and swimming in a beef based sauce. Delicious. 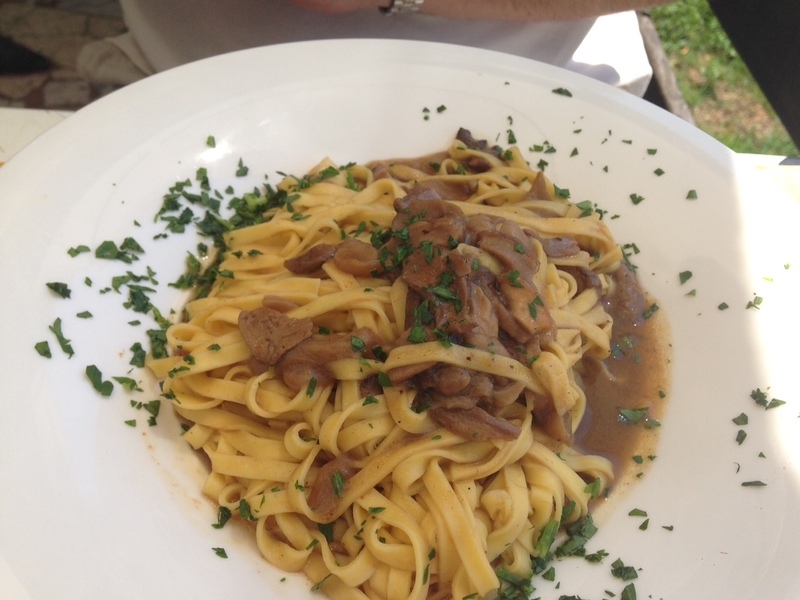 Le Monsieur had the taglietelle with porcini mushrooms and ate every bit. No way we could eat another bite so we skipped desserts. What a great time we had and hopefully we’ll be visiting Italy again soon. Do you make your own pasta? Are there special restaurants you’ve come across during your travels? Leave us your comments by clicking on the title of this post to expand the comment form. 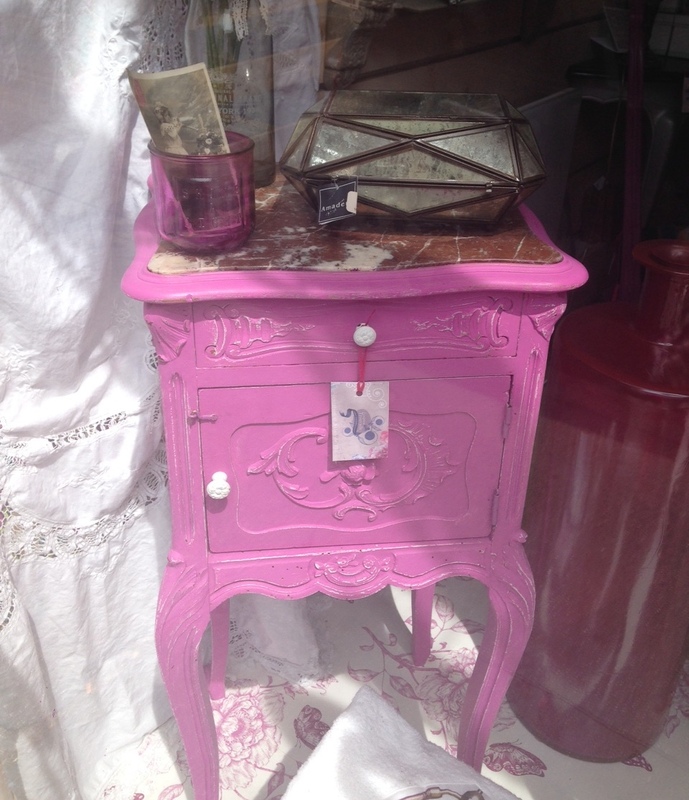 How Pretty is Your Powder Room? 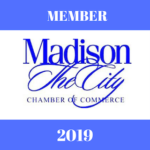 June 9, 2015, posted by Gina – The word “powder room” may seem to be in same league as words like “pocket book” or “slacks”, words that our mother still uses though they are outmoded. Yet powder room is still used today to describe a half bath and in public, women frequently ask about the whereabouts of the powder room instead of bathroom or restroom. Since a powder room is mainly used by guests, we believe it should be a wonderfully inviting spot in your home. We will share a few tips on how to make a powder room a perfect place to extend your hospitality. 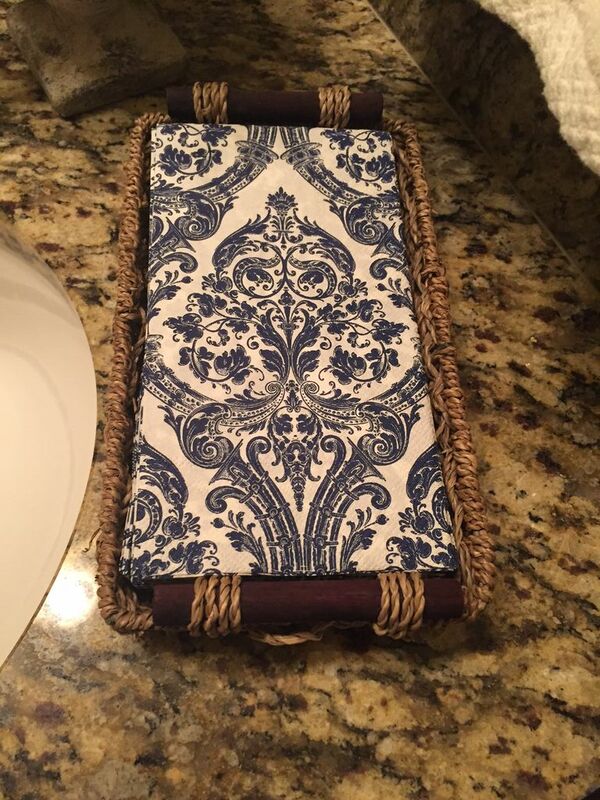 In this photo we see some lovely paper hand towels in a nice wicker basket made especially for them. We like offering these when we have larger parties as a typical cloth towel would get pretty wet with a number of guests visiting the powder room. Once our shop is up and running, we will offer a great variety of paper hand towels. 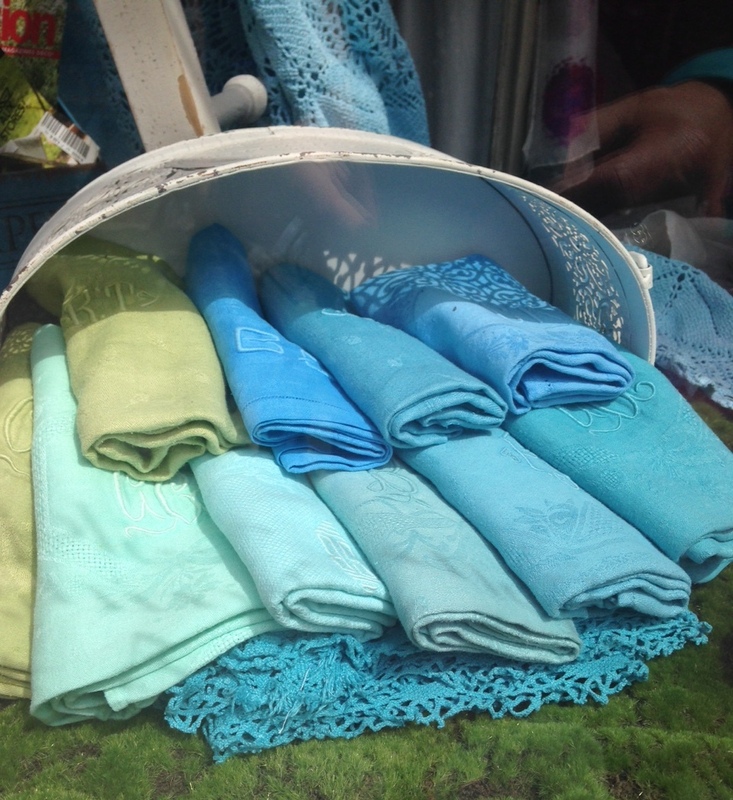 But we realize some people prefer linens, so we also always offer a pretty cloth hand towel. We love the fresh, crisp look of white for spring and summer months. Here’s where the fun really gets started. 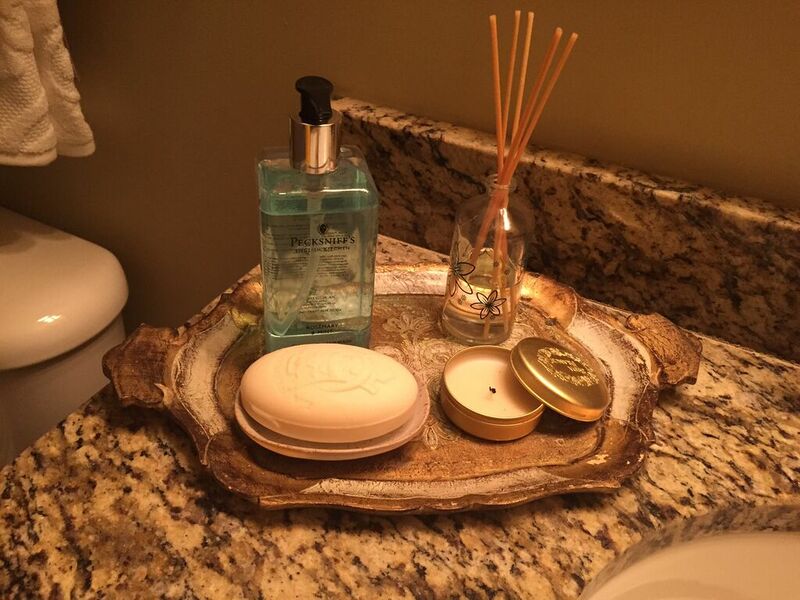 We love to use trays and this lovely European tray holds a luxurious rosemary mint hand soap, a bar of soap, a candle and a delicious smelling diffuser. We love to ignite our guest’s sense of smell and this tray of goodies is certainly capable of doing just that. We plan to sell many of these items in our online shop. 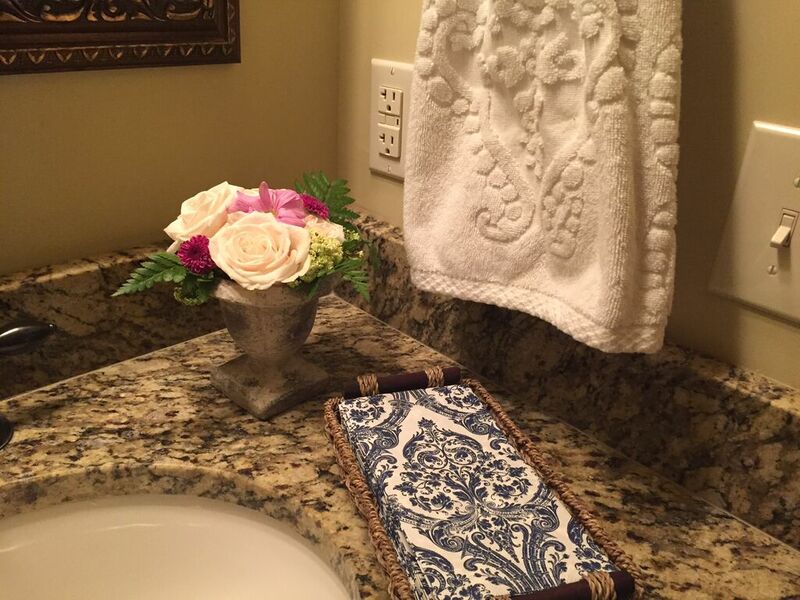 Creating a mood with hand towels is fun, easy and inexpensive. We change the hand towels on this rack to correspond with the current season. These linen towels with a coral motif are summery and bring the beach to mind. 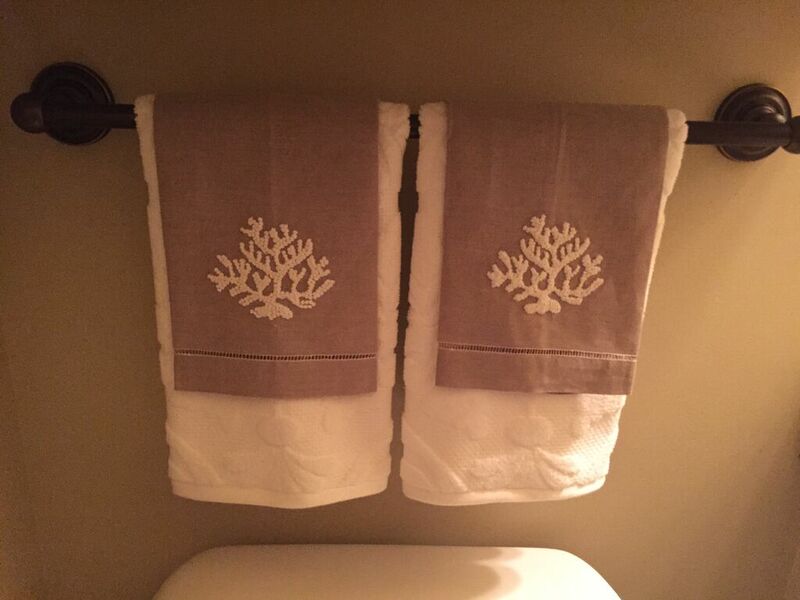 We can’t wait to offer unique hand towels in our shop that will help you usher in the seasons in your own home or that you can give as gifts. 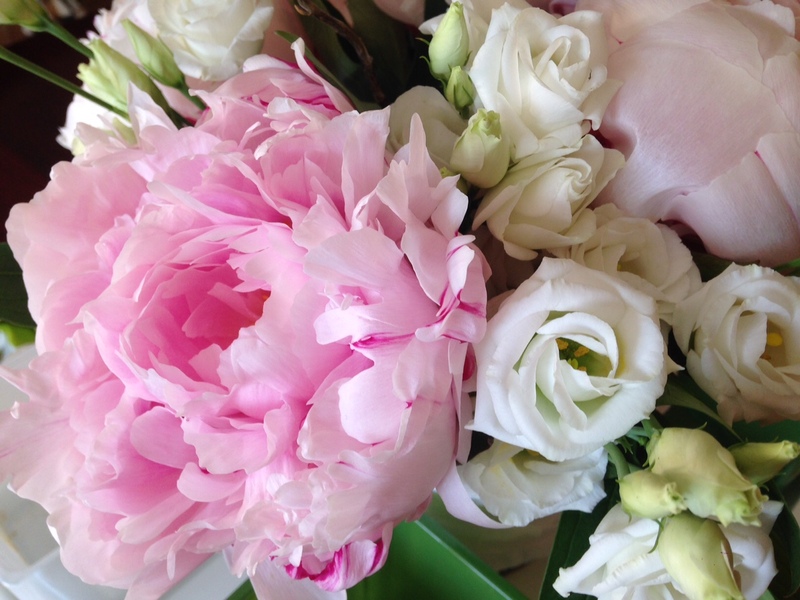 Last but not least, we always put fresh flowers in our powder room when we have guests. It is just one more way to welcome your guests into your home with a warm and comfortable vibe. What finishing touches do you put around your home when you have guests? 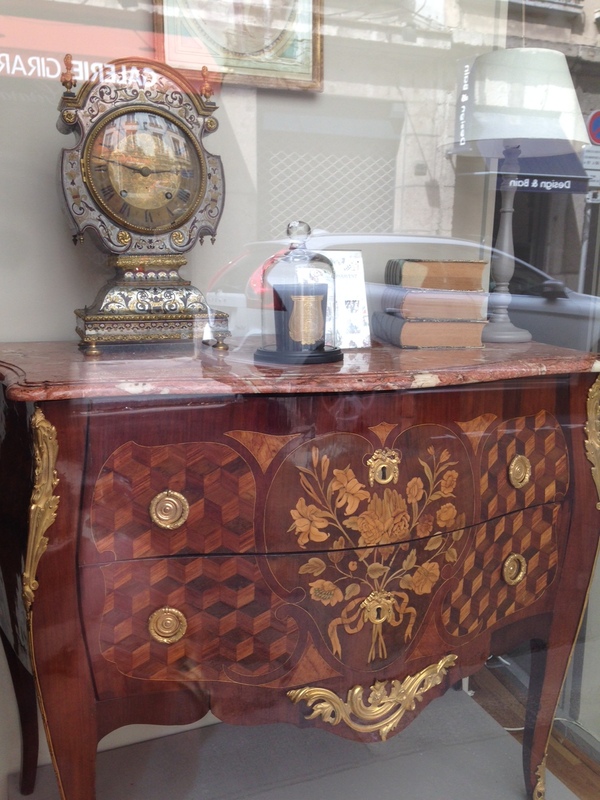 Do you like to change small details to reflect the changing seasons? We’d like to hear about your ideas. Click the title of this post to open the comment form and let us hear from you! 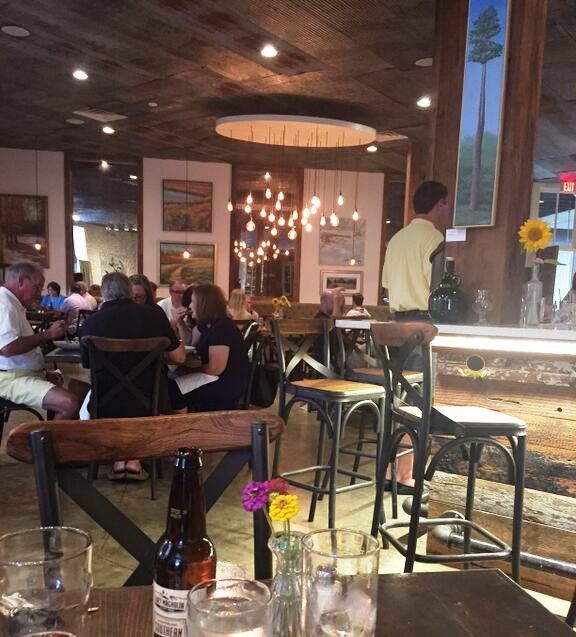 June 7, 2015, posted by Gina – My family went to a new restaurant last night and as you can see the atmosphere was great and the menu had a farm fresh vibe. Once home, I investigated this epicurean mystery and discovered that poutine is a Quebec (or French Canadian) staple of homemade french fries with white cheddar cheese curls and beef gravy. 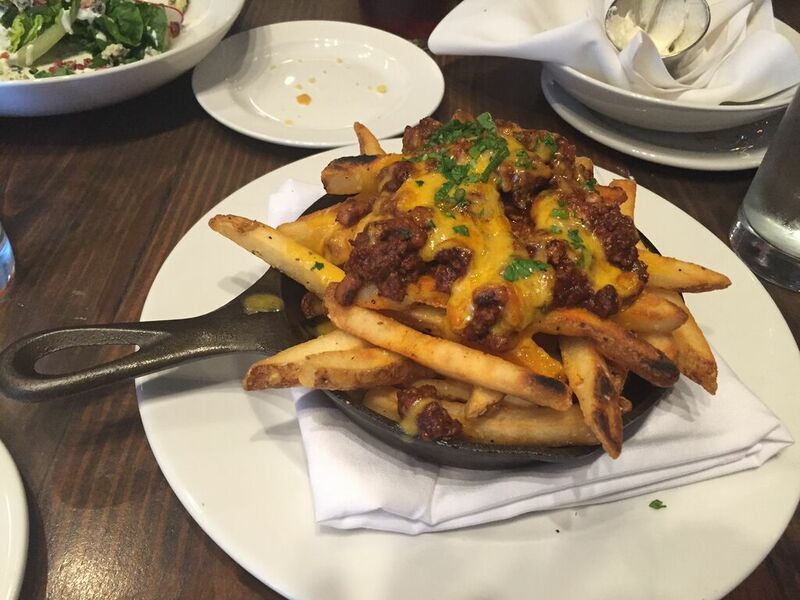 The version we enjoyed was a combination of french fries topped with black-eyed pea chili, sharp cheddar cheese and gremolata (a chopped herb condiment made of lemon zest, garlic and parsley). Mix all ingredients. Let sit in refrigerator a few hours or overnight to allow the flavors to come together. 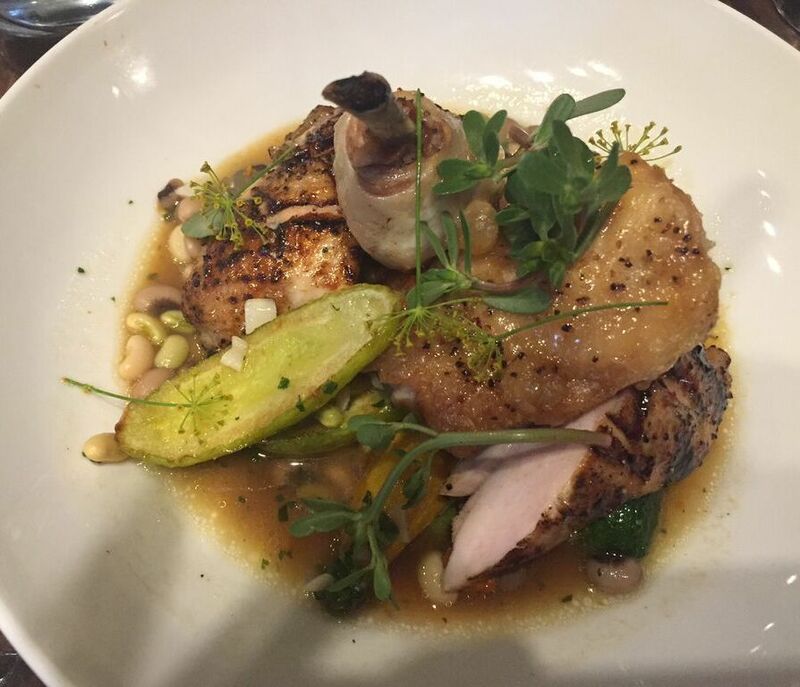 My entrée was a great combination of braised southern peas (black-eyed peas, field peas and butter beans), summer squash and sorghum grilled chicken breast. An interesting fact about sorghum is that it looks very similar to corn while growing in the field. This grain is best known for producing sweet sorghum syrup and is mostly grown in Kentucky and Tennessee but can also be found in Minnesota, Mississippi and Texas. Back to my entrée, the sorghum flavored the entire dish giving the broth a slight sweetness that contrasted with the other savory flavors. The chicken had a sweet-smokey grilled flavor that put this main dish staple over the top. My husband and son both ordered the catfish. I was fortunate enough to steal a bite or two and it was light and crispy with plenty of flavor. 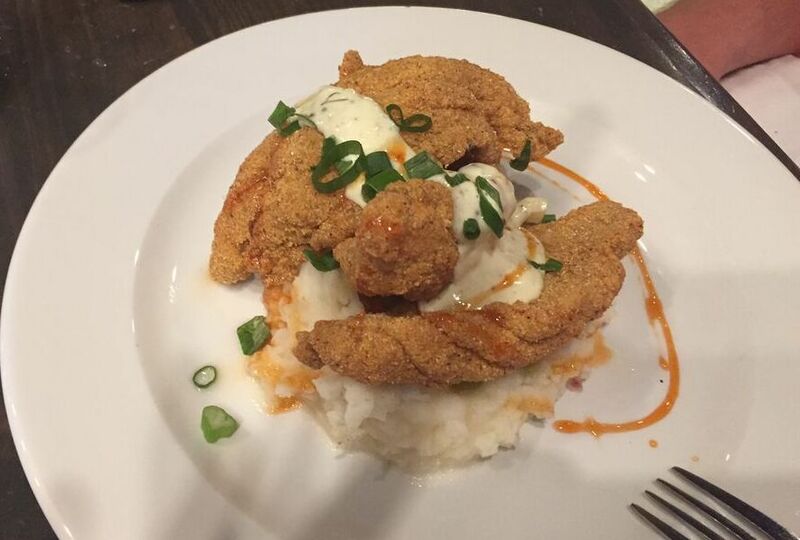 It was resting on a bed of mashed potatoes drizzled with a creamy tartar and hot sauce. I was so full that dessert seemed out of the question until our waiter recommended the homemade banana pudding. I did not order dessert but I will confess that my spoon did take a couple of dips into my husband’s bowl. Fresh whipped cream, banana pudding, vanilla wafers, toasted macadamia nuts, strawberries and blueberries made a beautiful presentation. 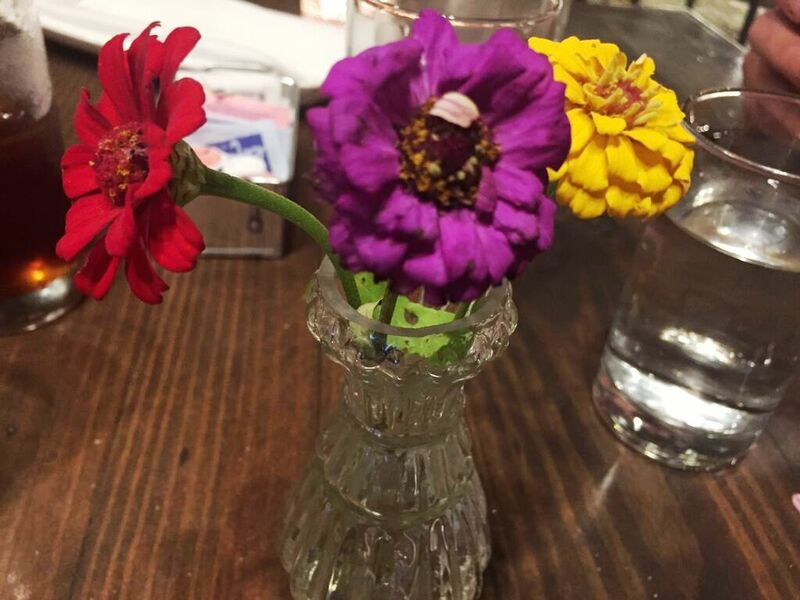 Sitting in the middle of our table was this unpretentious crystal vase with three mini zinnias. This was just enough to make me smile. We enjoyed everything from the atmosphere and our fantastic waiter to the food that was creative and delicious. We will make a return visit. 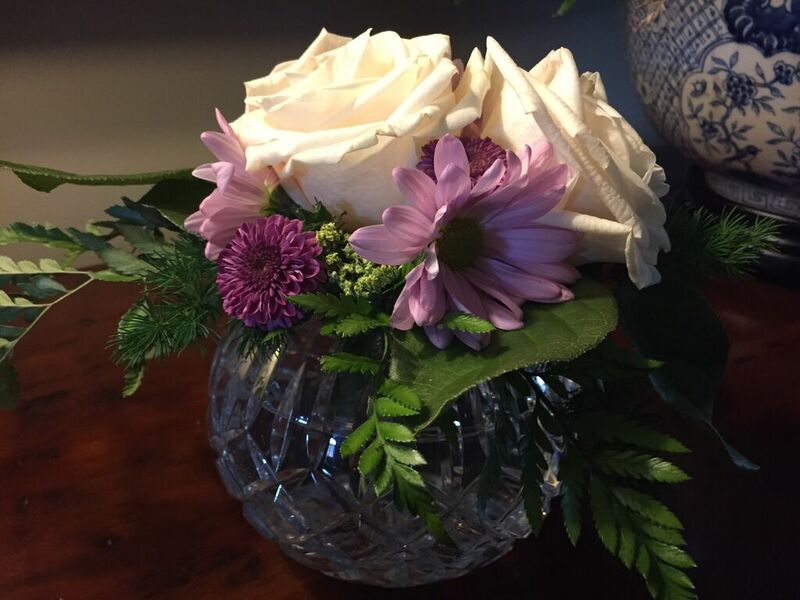 June 3, 2015, posted by Gina – Last week we gave you a tour of the table settings and general décor we created for a bridal luncheon and now we’d like to share some photos and information on the floral arrangements and a couple of other details. Above you see the floral palette we chose for the day. 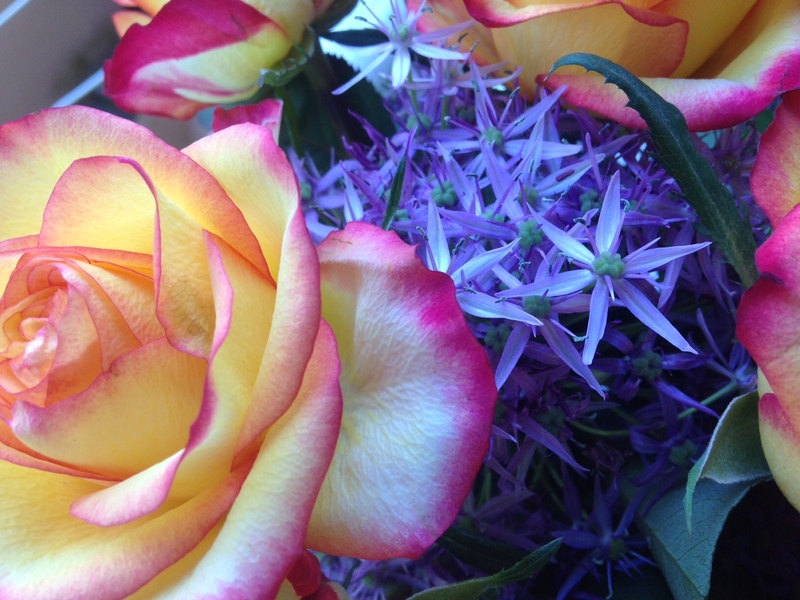 Color harmony is an important aspect of floral design and by looking at a typical color wheel, you can see many formulas for creating color combinations. 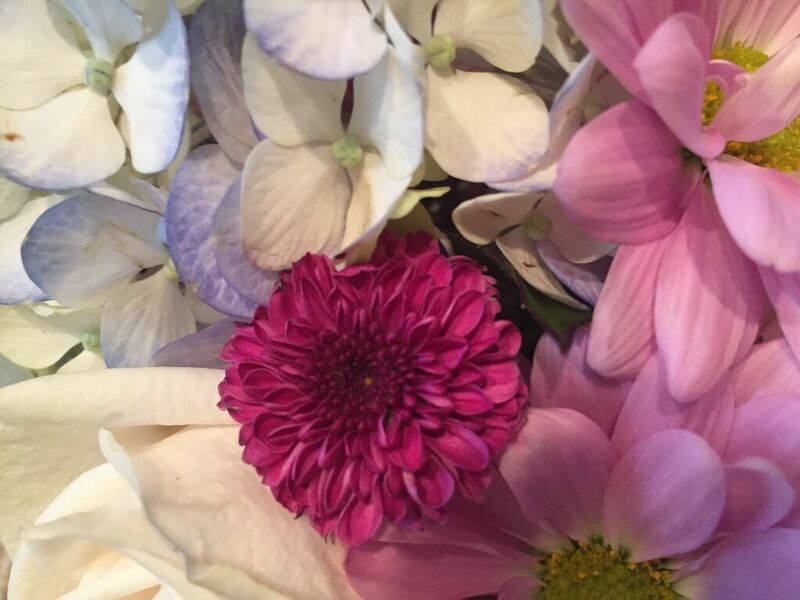 We chose an analogous palette which uses colors that are found next to each other on the color wheel. Footbaths originated in China during the Ming Dynasty and were traditionally used only by women from the wealthiest families who practiced foot binding. In turn, this practice became popular as a means of displaying status. So how in the world did we end up using them for flowers? It turns out that in the 1980’s and exporter began shipping beautiful porcelain footbaths all over the world. Interior designers embraced them as they were as pretty as the ever popular fish bowls but were the perfect size for a dining table or sideboard. Who knew? In this arrangement, we used a magenta kalanchoe, maidenhair fern and a bit of Spanish moss. 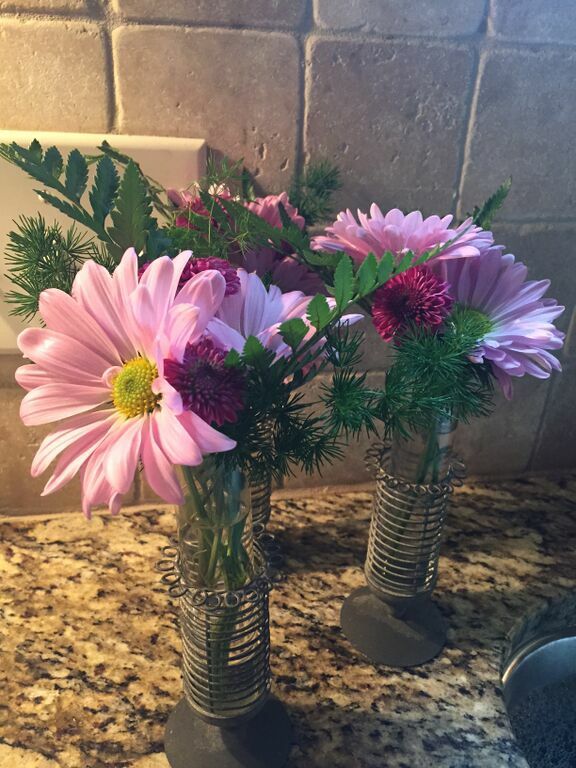 When we open our shop, we plan to offer footbaths so you can easily create a wonderful centerpiece just like we did. 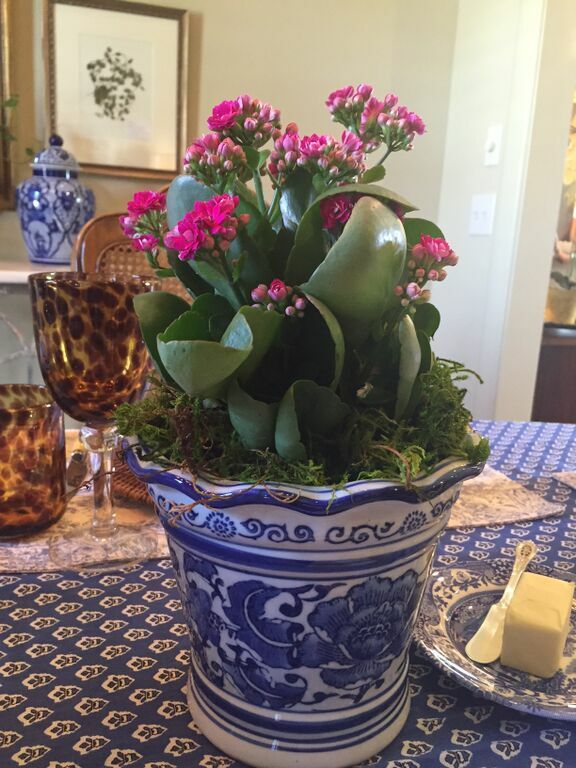 This smaller blue and white planter was used as a companion and we love how it echoed our color palette on this table. This arrangement in a vintage rose bowl carried on our color palette and we particularly loved the fully open white roses. We will be offering new and vintage varieties of containers like this one when our shop is up and running. Back in the day, before paper cocktail napkins were so widely available, beautiful linen cocktail napkins were used. These light blue ones are just so pretty and we think perfect for a beautiful, special event. 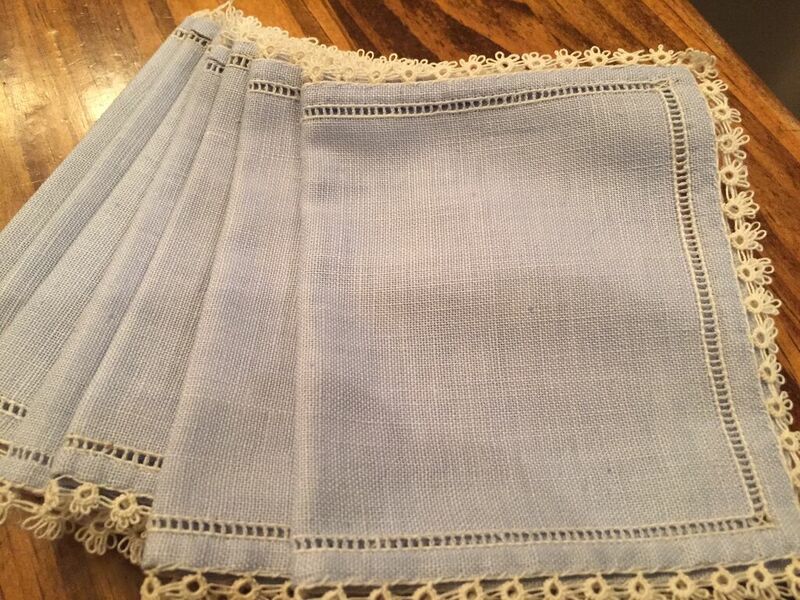 These are vintage and we are planning on offering some of the finest vintage linens around once our shop is open. 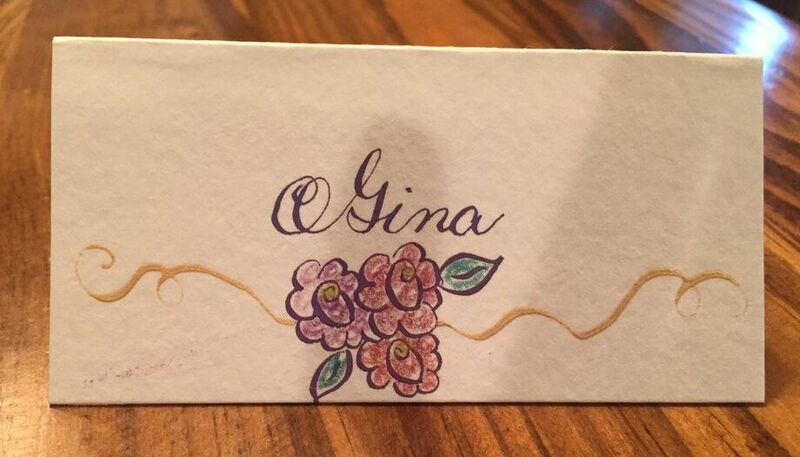 These place cards were specially created by a professional calligrapher to coordinate with the flowers for the luncheon. Place cards seem to be used mostly for larger functions but we believe it adds a special touch and truly gives a warm welcome to each person. Blank place cards can be found at most craft stores and are really fun and easy to incorporate into your event. In our case, we wanted to use place cards to insure that the bride and her bridesmaids were able to sit together and enjoy the day. After all, the luncheon was in their honor. 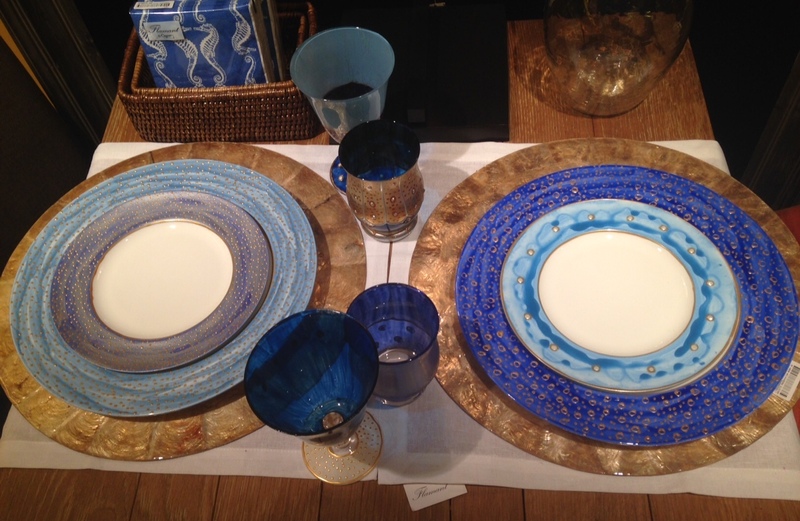 Do you add special touches to your tables? 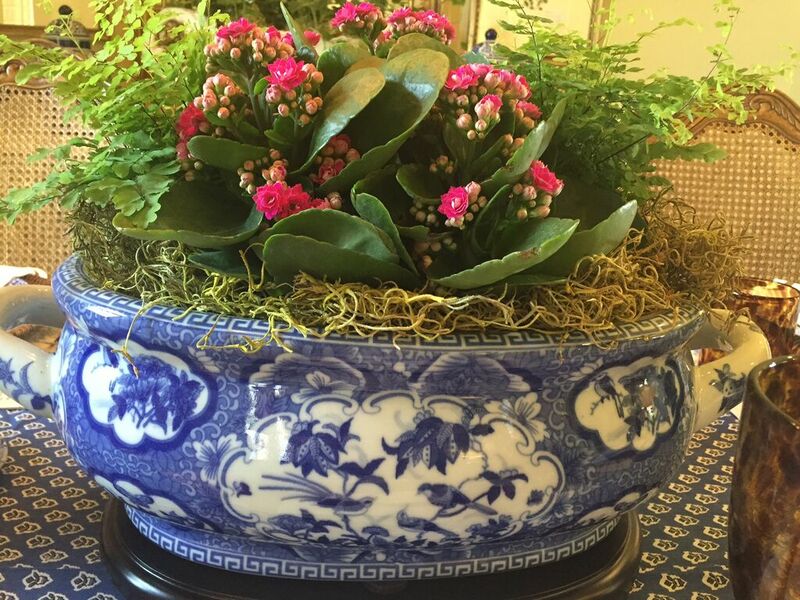 Do you have some favorite containers and planters that you use for special arrangements? We’d like to hear about your ideas, so please leave a comment by clicking on the title of this post to expand the comment form.